Hello all! I can’t believe I’m writing an end of summer post already. It’s crazy to think fall is right around the corner! During the summer months I tend to be a minimalist when it comes to make-up. My skincare routines in the summer change in that I use different products but not more or less than in other seasons. 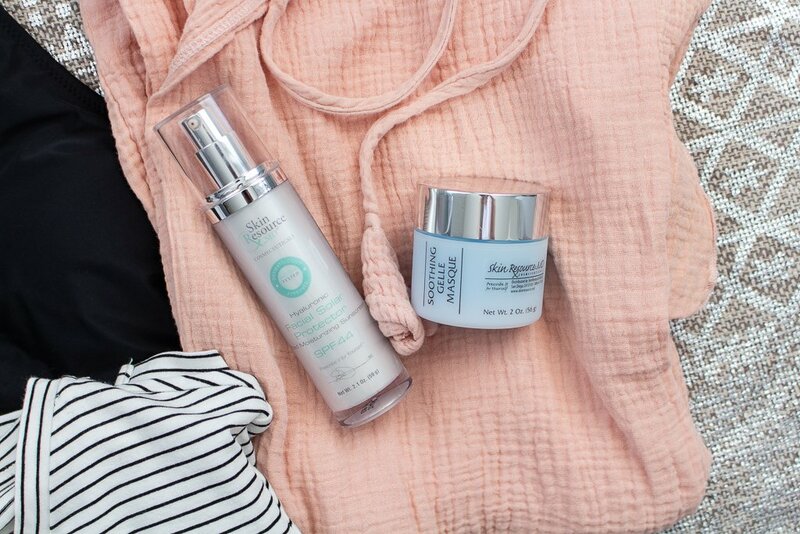 I think being a first time mom this summer has changed a few things as well, like just not using as many products as I usually do because I don’t have as much time as I once did. I do have a list of things that I have been using and loving all summer though. 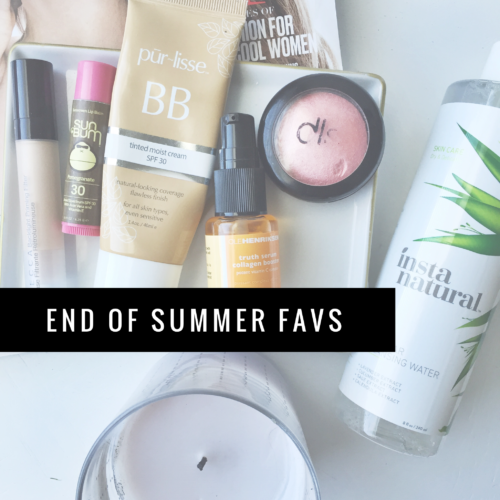 Here are my End of Summer Favs. Enjoy. This is my all time favorite SPF lip balm. It smells awesome and I love that it protects my lips from the sun. This serum has been amazing. I do notice a difference in my skin being smoother and having less acne scars. I had been looking for a product with Vitamin C for a long time when I got this in an Influenster box a few weeks ago. It smells amazing and dries fast so I can put my moisturizer on right after. If you aren’t using a micellar water go grab one! It is so nice to know if I don’t have time to (or I’m feeling lazy) I can cleanse my face super fast. All you have to do is put some of this on a cotton round and rub all over your face. The cells in the water eat up all the dirt and my face is clean feeling and soft after it dries. I loveeeeee this primer. I use it under my makeup, over my makeup, and sometimes alone without anything else on. It just gives a perfect glow. Love. I’ve raved about this stuff multiple times, it’s truly my favorite BB cream. You can read my full review on it here. I have also talked about this highlighter in a recent Friday Fav here. Its a perfect pinky glow highlighter. I found this candle at Home Goods so I know I’ll never find it there again but I did find it on Amazon. It smells amaiiiiiiizing, I could burn it all day everyday. What things have you been awing over all summer? Share your summer favs in the comments section. Thanks for reading today!